If you asked 1,000 random people from across the country to describe farming I think you'd probably get 1,000 different answers. Many people would focus on the nostalgic lifestyle of farming - wide open spaces, taking care of the land and animals, and the simple life. While others might think about big business or big ag, Monsanto and "the almighty dollar". When I'm asked why I farm, I start by talking about the lifestyle. It is how My Farmer and I want to raise our children and it's the way we've always wanted to live. 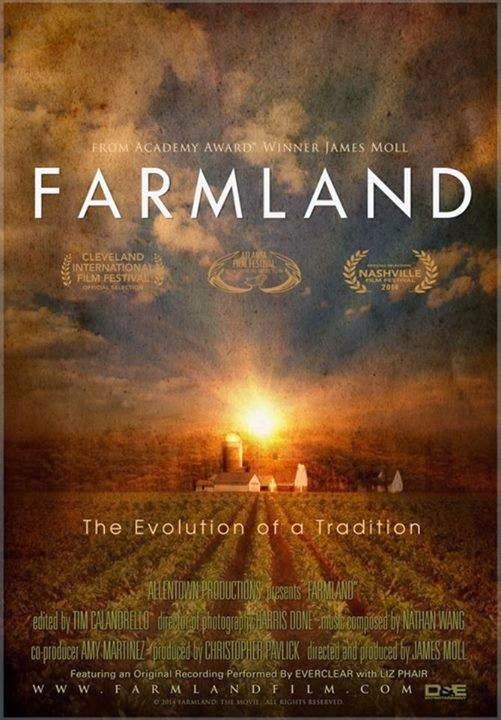 Farming is in our blood and we are proud to carry on the tradition. I love being surrounded by fields and the privacy that farming gives us. At the same time though, I have got to think of farming as a business. After-all, this is the sole way our family makes a living. And just like everyone else out there, I want to do the best I can at my business so I can provide for my family. I want our farm to be successful, so we can live the life we want. So why can't farming be both about business and lifestyle? It is a balancing-act I feel to have the lifestyle I want for myself and my family, while still taking on risk and enough work and effort to make our business viable. Harvest is a busy time for my family. I feel like we spend a lot of time concentrating on the business but I am thankful that my whole family, three generations to be exact, get to be apart of that business which helps all remember about the lifestyle benefits of doing what we love, farming. What do you first think of when you think of farming? Lifestyle or business? Remember to Comment for a Cause! One feature this month through my 31 Days from a Tractor Seat series is that I am sharing some of my family's "Tractor Approved" recipes. 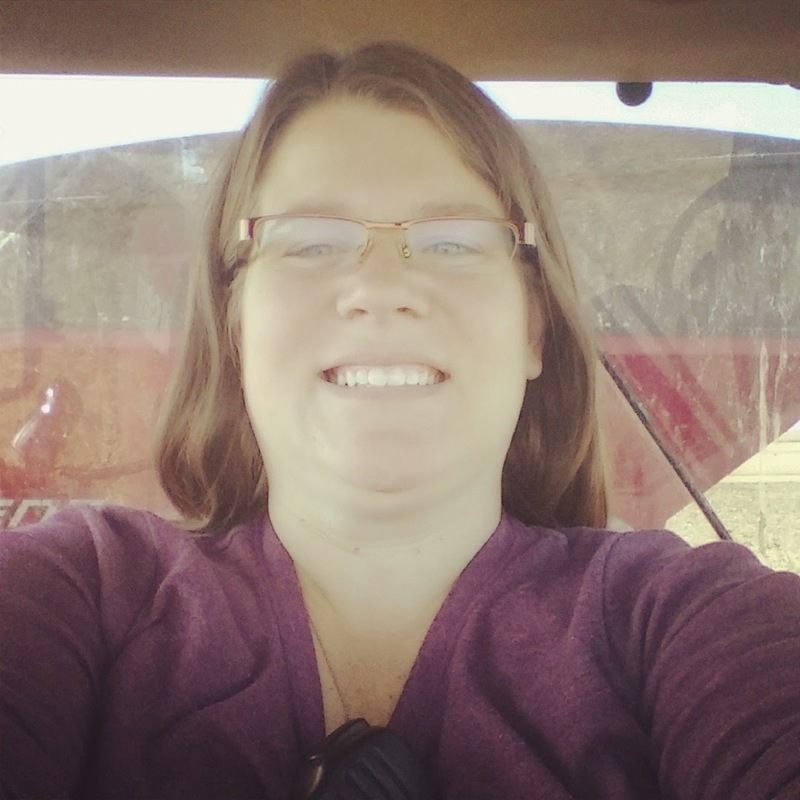 During fall harvest I have a unique situation where I find myself in the field pretty much all day, everyday, along with my husband and kids. This means that we don't have that much food in our house because I don't have that much time to run to the grocery store or simply to just cook or bake something. But one thing I always keep on hand is my All Purpose Pork Rub so I can smoke on a "rain day". (Plus I had to share a pork recipe this month because it is National Pork Month!) Be sure to check out my other "Tractor Approved" recipes: Six Week Muffins, The Best Tuna Salad and Sweet & Salty Corn Chips. Why does All Purpose Pork Rub get the "Tractor Approved" seal? First, deli meat sandwiches get a little old if you have them daily for a couple of months, so it is nice to make something a little different to switch up the standard lunch-box sandwich. Second, this pork rub works on everything - loins, ribs, etc. So whatever pork you have on hand, you can put it on. It is a great salty rub with a little bit of a kick to it. Third, the ingredients for the rub are staple spices I always have in my pantry. I enjoy this rub so much that I even keep huge batches of it on hand so I can smoke with it whenever I find time. I love smoking all year long. Mix ingredients and rub mixture on meat for at least two hours before cooking, overnight is best. Allow meat to reach room temperature before smoking. Store leftover rub mixture for future use. 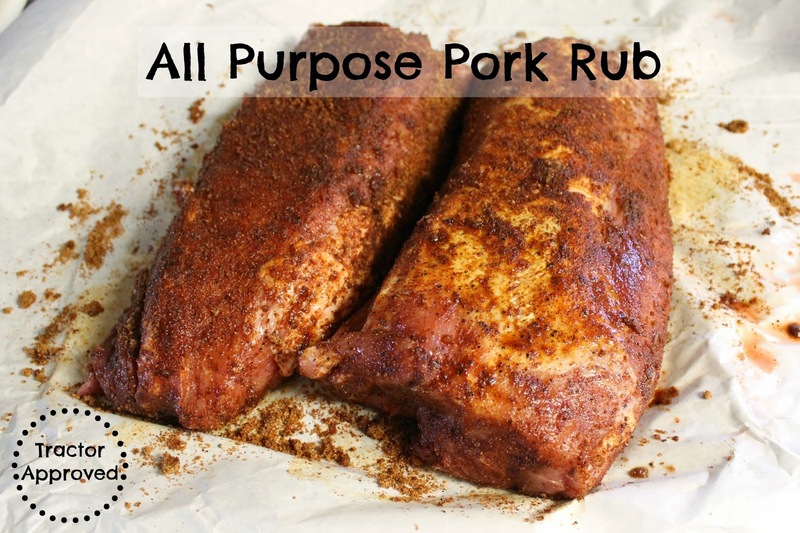 My favorite pork product to use this rub on is pork loin! Do you own a smoker? What is your favorite pork recipe? Remember to Comment for a Cause! 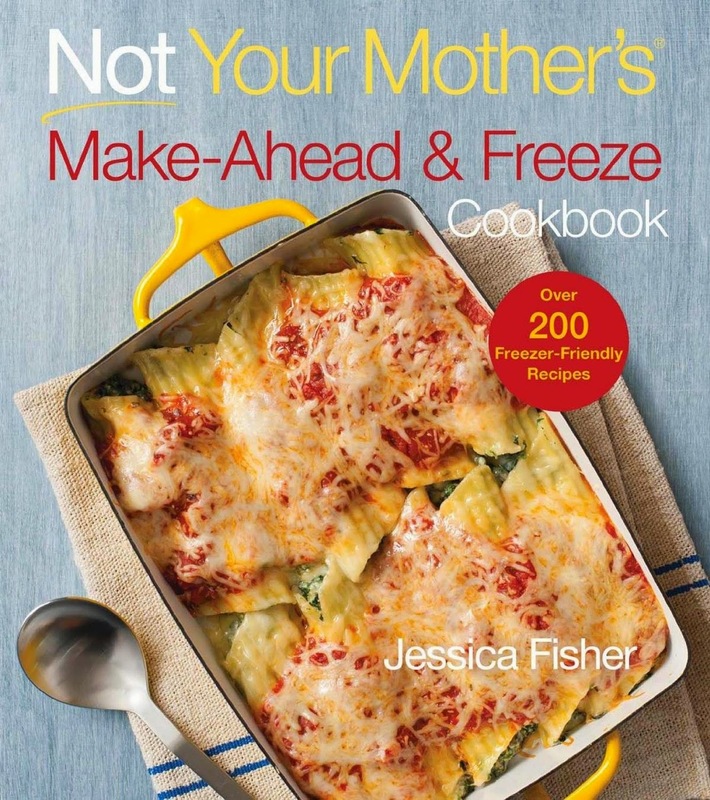 Did you know that October is National Cookbook Month? I was excited to hear this because I personally own over 30 cookbooks (plus two recipe boxes and one giant recipe "folder"). I love to cook and bake and I love how recipes and cookbooks tell stories. I have gotten to know several Iowa bloggers through our love of food. We all have our own style and preferences when it comes to food and cookbooks, but I think that is what makes this group so great. Personally, for me, my favorite cookbook is probably my home church's 1998 Harvest Cookbook. Because let's all agree, no one puts a "bad" recipe in a church cookbook! This cookbook is full of this community's best recipes and it also tells the area's heritage through food. 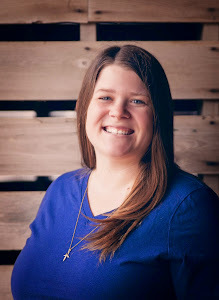 Fellow Iowa Blogger, Jeni from Jeni Eats, is also a big fan of her church cookbooks too, for many of the same reasons that I do, and that they have so many "retro" recipes. 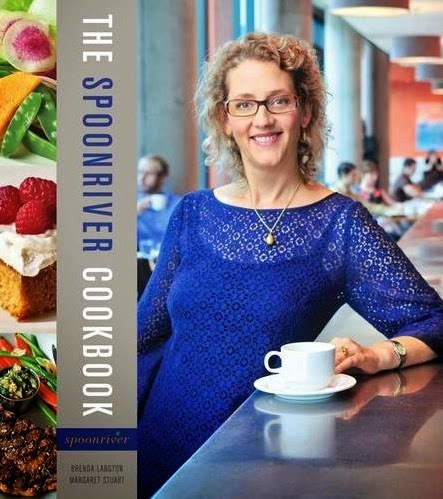 One of her other favorite, and go-to cookbooks right now is The Spoonriver Cookbook. She loves how the recipes are so approachable. 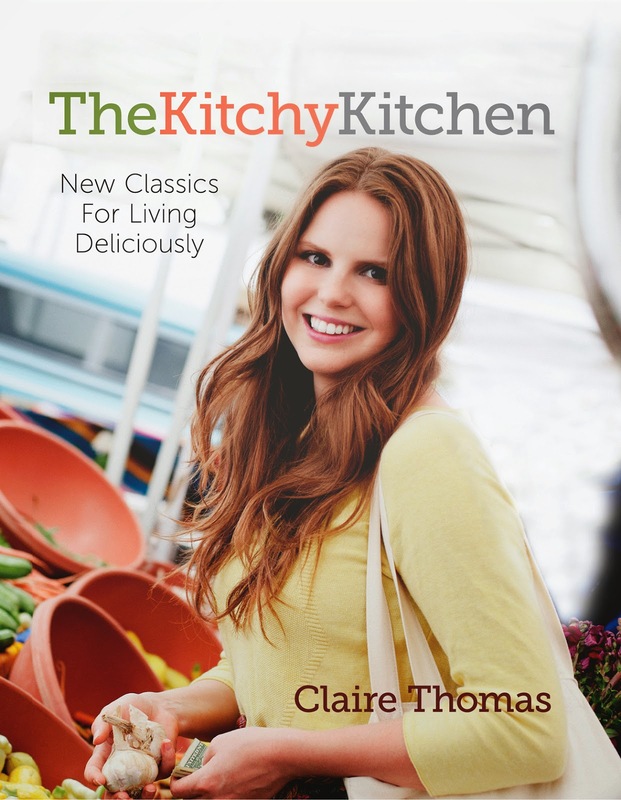 Amy from Modern Rural Living, loves her newest cookbook, The Kitchy Kitchen. She loves all the imagery in the cookbook and can relate to her as a blogger and You Tuber. Jenny from In the Kitchen with Jenny, cherishes her family's cookbook that she helped her mother-in-law put together the year before she passed away from cancer. This cookbook not only tells her family's story, but passes along her mother-in-law's traditions. 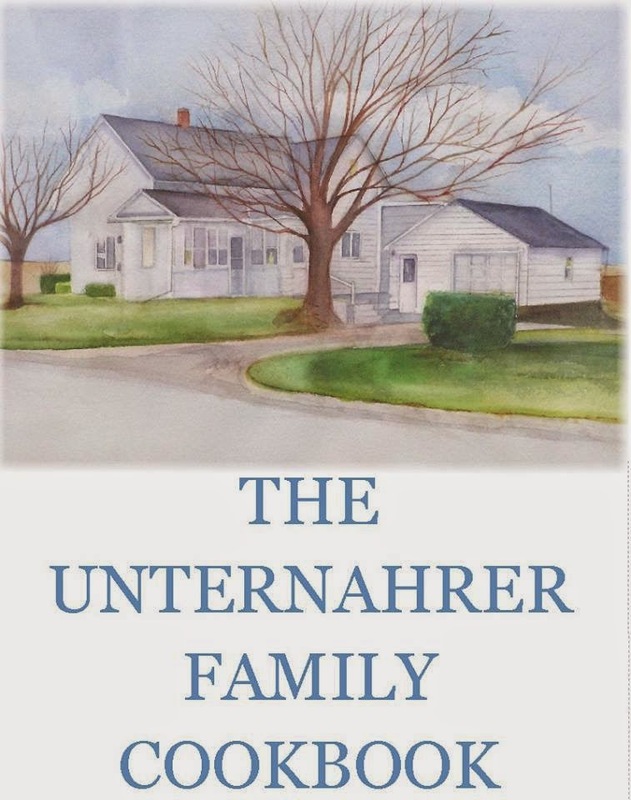 And another thing that makes it so special, is that the front cover has a copy of a water color of the family's home. Michelle from Simplify, Live, Love, likes Not Your Mother's Make-Ahead and Freeze Cookbook. 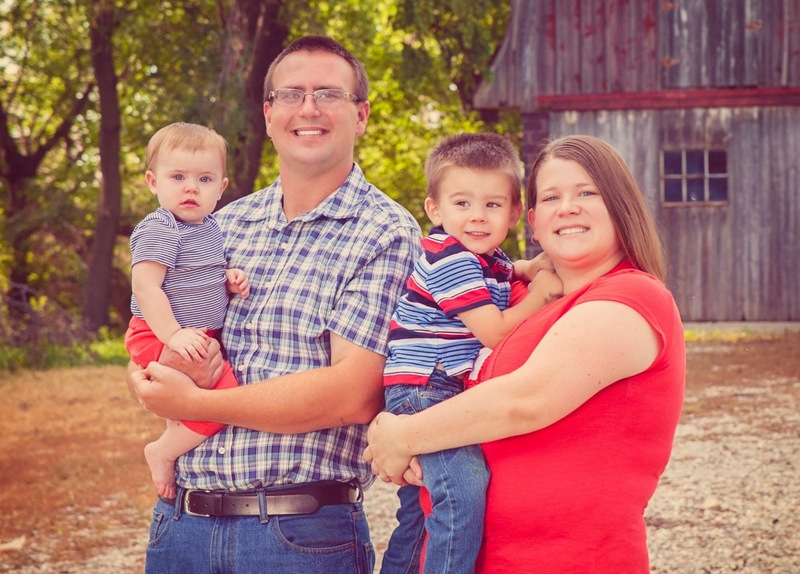 Life is busy and making food ahead of time for your family is a must for Michelle and her family, as well as probably all of ours. This cookbook includes a variety of recipes, ingredients and cuisines, while using less processed foods than the freezer meals of decades ago. 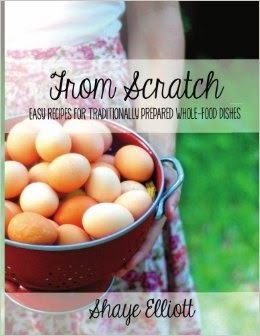 Kelli from The Sustainable Couple current favorite cookbook is The Elliott Homestead: From Scratch cookbook. This cookbook teaches traditional ways to cook nutritious food. Personally when I saw this cookbook's cover, I thought it screamed Kelli and her passion for whole foods. Lastly, Iowa Blogger Wini from Chez Bonne Femme has wrote two cookbooks! 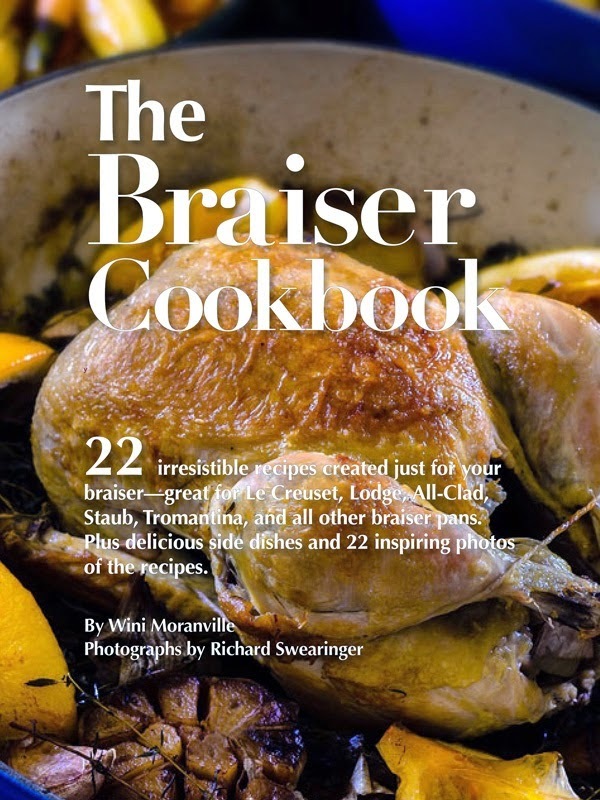 Her first, The Bonne Femme Cookbook looks at every day French cooking and her newest, The Braiser Cookbook, shares how to braise through several different methods and ingredients. I highly recommend checking out her Pork Meat Balls with Dijon Cream Sauce recipe from her newest cookbook! 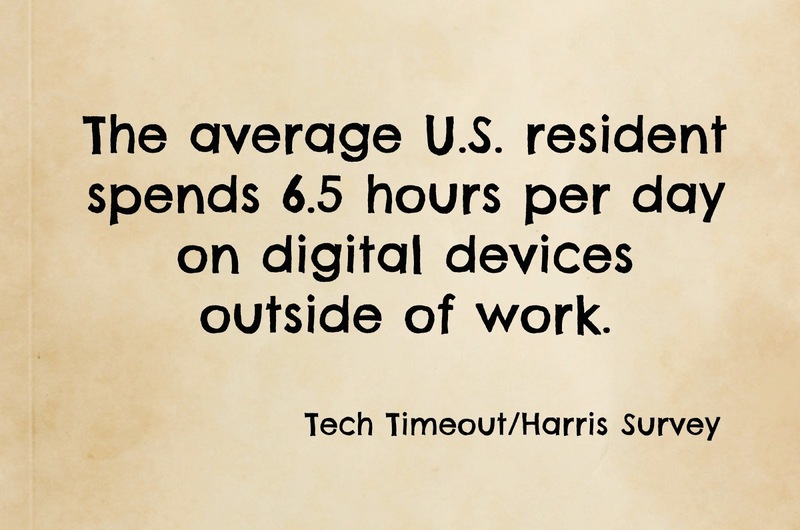 Doesn't this want you to get out your favorite cookbook or discover a new recipe tonight! 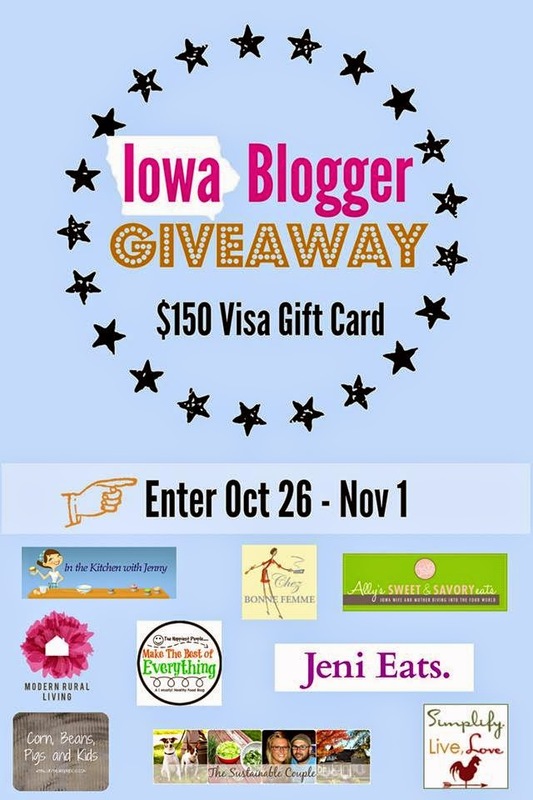 All of these great Iowa Bloggers, plus Ally from Ally's Sweet and Savory Eats and Kristen from Make the Best of Everything, have partnered up to giveaway a $150 Visa Giftcard. This giveaway is open from today to November 1st. 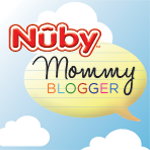 You can enter by liking these blogs on Facebook and following them on Twitter. Good luck! What is your favorite cookbook? Which one of these cookbooks might you buy with your $150 if you win? Remember to Comment for a Cause! The kids are in bed after a full day of Sunday School, working in the field and baths, but before I indulge in some ice cream and Food Network Sunday night programming, I thought I'd continue my 31 Days of writing adventure by answering some of your questions I have received through this blog series. 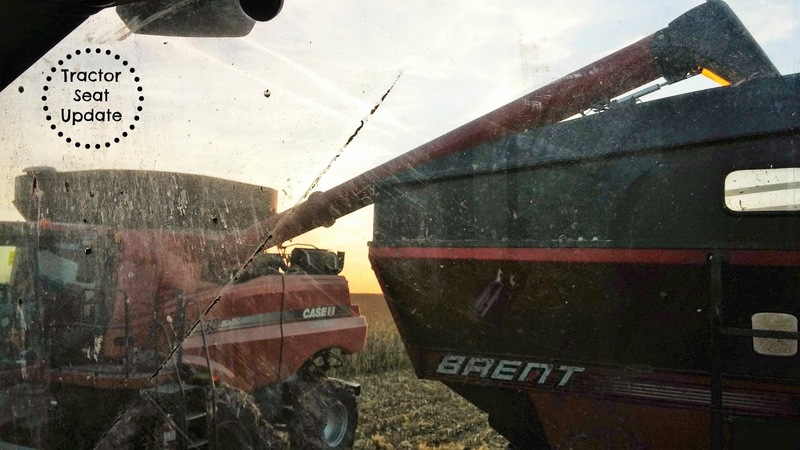 What things do you see from your tractor seat besides just fields and rows? We see wildlife (which I'll be talking about more in a future question), traffic (those that wave and those that don't), and we have a nice above ground view that allows us to see for miles. The most exciting (and scary) thing we've seen this year so far is a car fire. Do animals and birds know to leave the field during harvest time? Just like if there was a vehicle coming down the road, birds and animals run out of the way of tractors. In fact, I think they move a little faster since we are a lot bigger than a car. We don't worry about running over any wildlife. What animals do you typically get in your fields? Typically we see birds, pheasants, ducks, deer, rabbits, and ground squirrels. The corn and soybean fields are great hiding areas for these animals so we scare them out of the field when we come through. They then run to a neighboring buffer strip or waterway for protection. 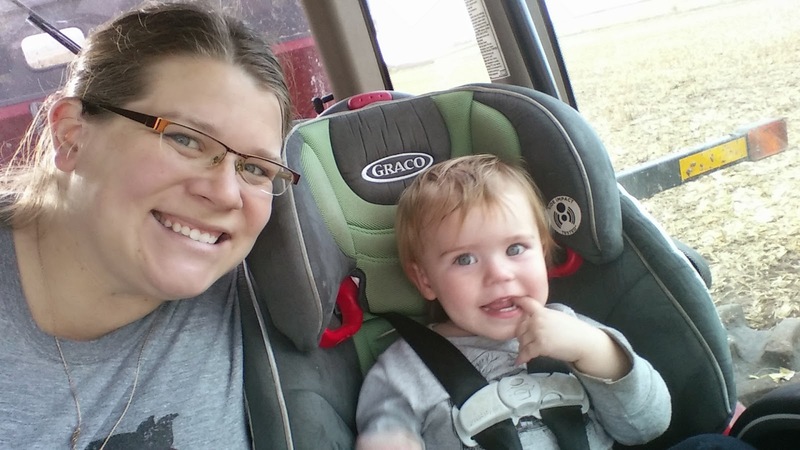 How do you deal with your kids while you're in the tractor (naps, play time, feeding them, etc.)? The kids do a pretty good job in the field all day. Our day typically starts mid-morning so the kids are able to eat breakfast and get some playtime done before we head to the field. Each kid gets to pick out some toys and books to bring in the tractor. Think of packing a busy bag for church, except it is for the tractor :) The kids enjoy playing with the things they bring with them throughout the day but also simply enjoy watching out the window, singing songs, having a conversation, playing peek-a-boo, telling stories, etc. I guess one way to think about our day in the tractor is the same you'd think about a day in the car traveling on vacation. The kids eat, sleep and play in their seats. As for food, we eat dinner around noon, then usually have snacks in the late afternoon and eat supper at the end of the night from the comfort for our tractor seats. I keep a cooler with waters and juice boxes for the kids with me so they are always able to eat or drink when they'd like to throughout the day. We usually end our day in the field after supper, and every once in awhile, we will take our supper home to eat, rather than eat it in the field. As for naps, the kids naturally take naps in the afternoon when they usually would. However, I'd say that MP naps shorter in the tractor then she does at home and LP, who usually naps only once or twice a week while at home, probably naps four or five times a week while in the tractor. The hardest part for the kids in the tractor all day is that they have to sit for long hours. Anytime we have a breakdown in the field I let the kids out to run around and usually after their afternoon naps I'll let them have a break while I have some wait time before needing to get back to catch the combine with my tractor and catch cart. When is the best time for your family to vacation? Our busiest times in the field are during the spring when we plant and during the fall when we harvest, so those are out for vacation time. And there is usually quite a bit of field work done during the beginning of the summer, so that too is usually not an option. We also raise pigs who need attention all year long, so we have to make sure whenever we do go on a vacation, that someone (aka my father-in-law) is available to do our chores for us. We typically enjoy going on family vacations in the late summer and My Farmer and I like to get away for a weekend in the winter. 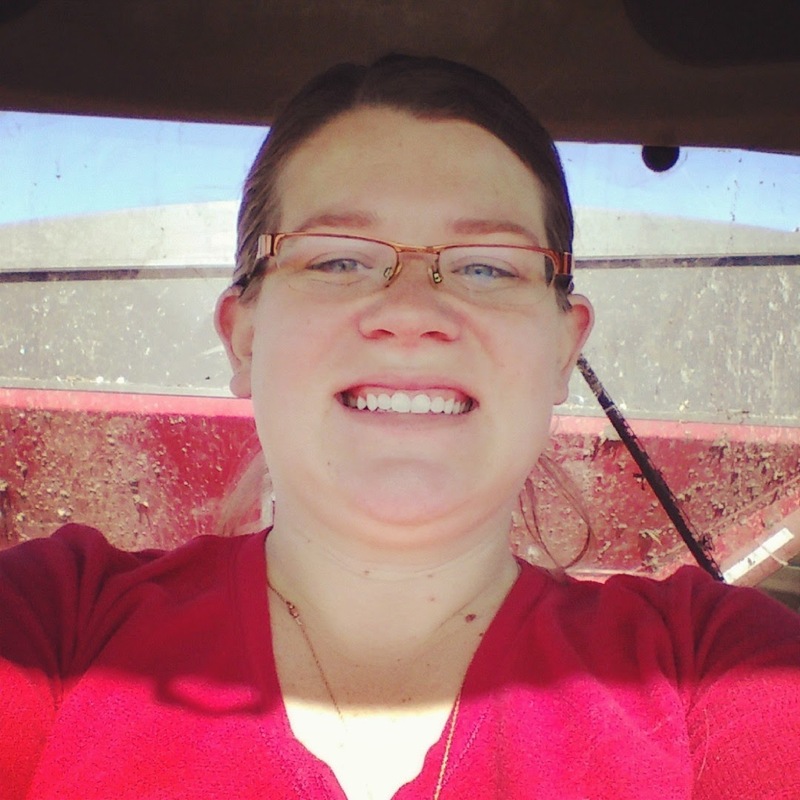 What other questions do you have about my life in a tractor seat or as a farmer and farm wife? Remember to Comment for a Cause! One feature this month through my 31 Days from a Tractor Seat series is that I am sharing are some of my family's "Tractor Approved" recipes. During fall harvest I have a unique situation where I find myself in the field pretty much all day, everyday, along with my husband and kids. This means that we don't have that much food in our house during harvest because I don't have that much time to run to the grocery store or simply to just cook or bake something. But I do try to keep some staples in the house so when we do find ourselves at home we can eat something at home. Last week I shared my Six Week Muffins recipe and today I'm sharing my recipe for my Tuna Salad. Why does The Best Tuna Salad get the "Tractor Approved" seal? First, we eat a lot of sandwiches during harvest and I find it really easy to keep staples in my pantry and freezer for "salad" sandwiches - ham, chicken and tuna. 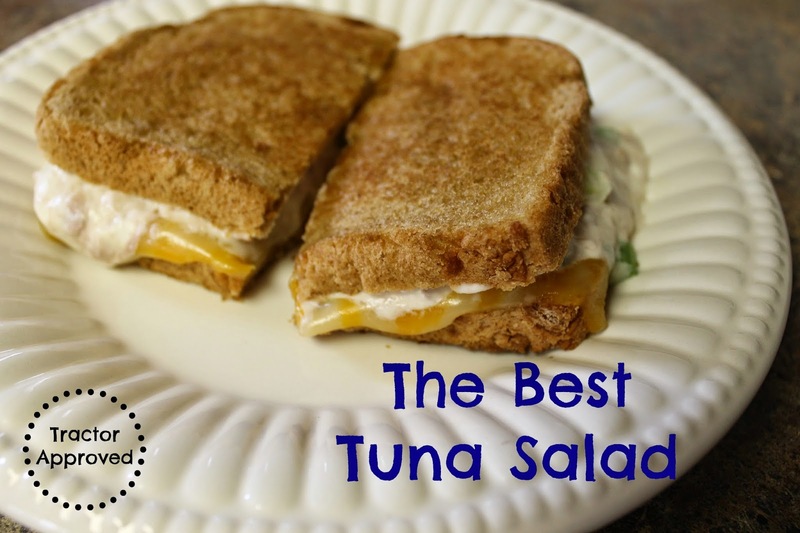 My whole family loves my tuna salad recipe and it is a little "special" or you might even say "decadent," compared to a traditional tuna salad. Second, you can eat this tuna salad cold or use it in a tuna melt. 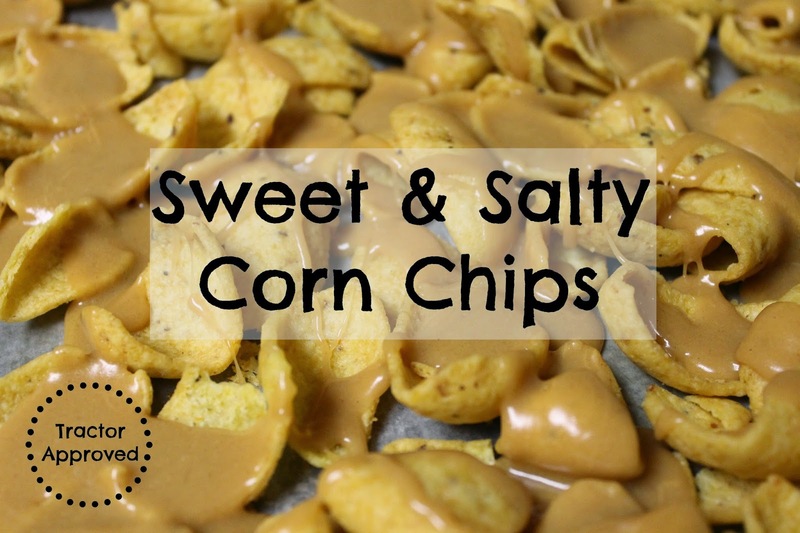 It is great to have a batch on hand to make with soup at night or my personal favorite is to eat with Doritos or Cheez-Its as a snack when we come in from the field. Third, this recipe is really simple to whip up, which is always a plus when you work long hours. With a hand mixer cream together cream cheese and mayo. Then stir in tuna, celery and green onions. Serve on sandwich as you desire. This recipe is really good as a melt or a panini. Refrigerate the rest of the batch up to a week (but it'll never last that long!). What are some of your go-to sandwich recipes or staples? Remember to Comment for a Cause! After a wet start to the week, we've been busy combining corn, and today, have switched back to harvesting soybeans. Last night My Farmer and I crunched some numbers and decided we are 20% finished with corn and 40% done with soybeans as of today. And I have to admit, that feels pretty darn good! With a "rain day" or two weekly it seems, I think we were both surprised at our progress. 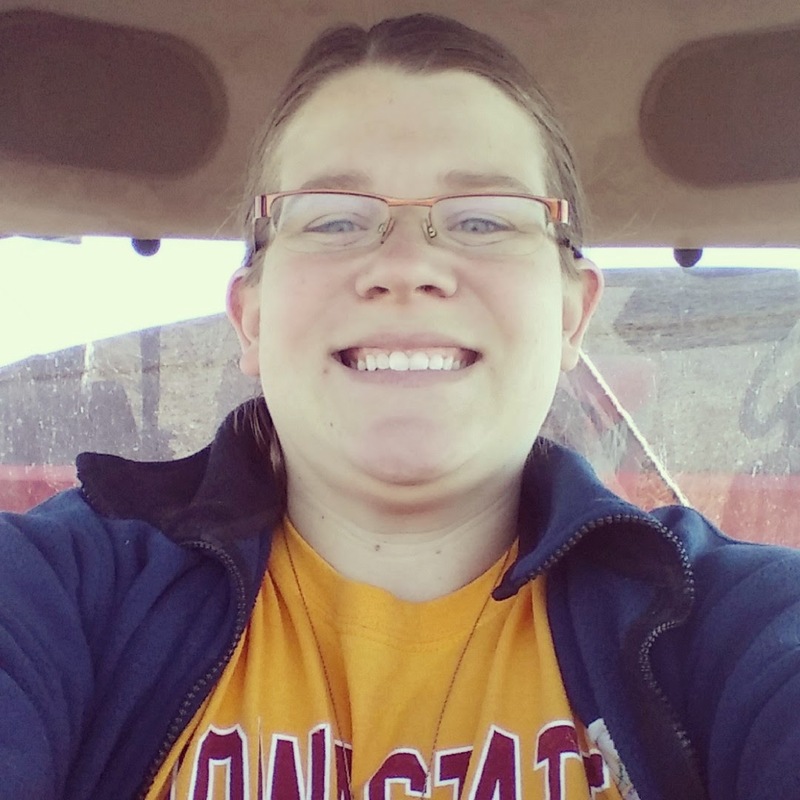 If you've been following my Tractor Seat Updates each Friday this month, you'll notice that we've been bouncing back and forth between corn and soybeans. While this usually happens some each year, we usually don't like to do this each week of harvest like we have been this year. When we switch, we have to change the combine head. 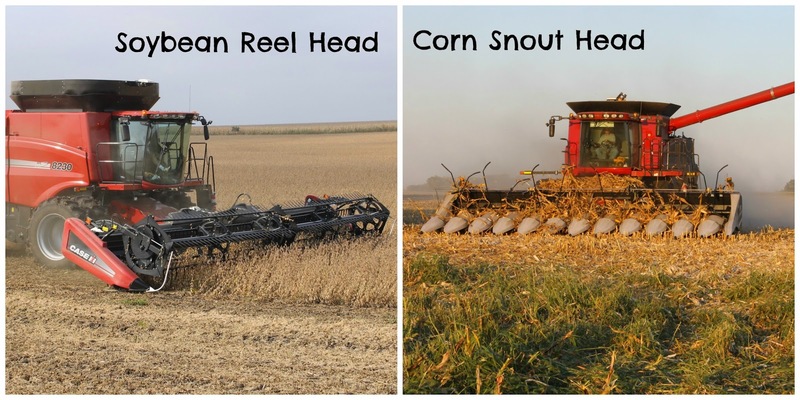 Corn and soybeans have separate combining head attachments. We then have to clean out the combine grain holding tank and our catch cart so we don't mix soybeans and corn. It isn't a lot, but it just takes time. It is a lot nicer if you can just pick up where you left off the day before and not have to worry about cleaning everything out. We've been having to switch back and forth due to the maturity of our corn and soybeans, as well as the moisture levels. 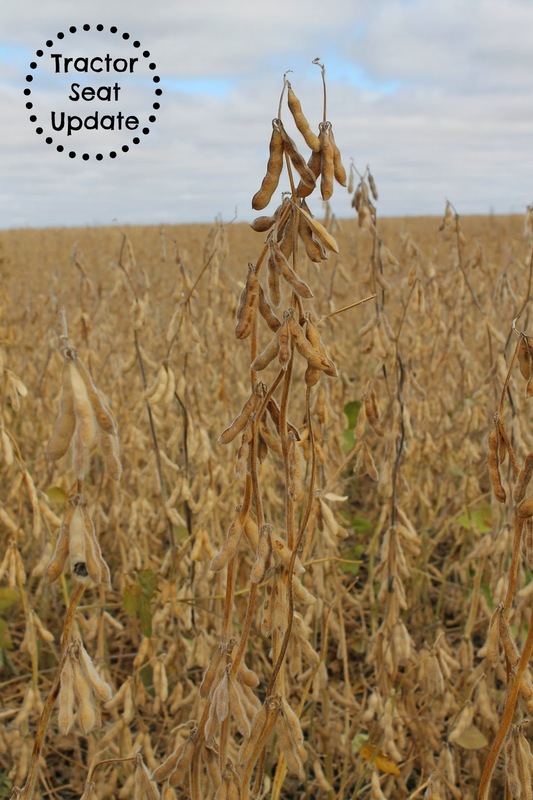 Soybeans have a somewhat narrow window to get harvested during due to the moisture levels you want. So if we don't have soybeans in that window, we've been switching to corn, which is more flexible. Happy World Food Day! This internationally recognized day was celebrated today at the World Food Prize and around the world, by bringing together the citizens of the World to proclaim their commitment to eradicate hunger and discuss what actions need to be taken to achieve this. On Tuesday, I asked you all to think through what you can do to address one of the key questions of this year's World Food Prize, "Can we feed 9 billion people by 2050?". For me personally, it is easier for me to first think about what I can do for people in my "backyard." Help your local food bank. Check out my guide that includes six different ways to contribute. Volunteer to organize meals or serve a meal yourself at your local soup kitchen. Contact your local school to see how you can help with their efforts to feed their students. Maybe your school has or needs a back pack program, or maybe an after-school snack program. Beyond the needs of my local area, state or even nation, there are needs throughout the World. 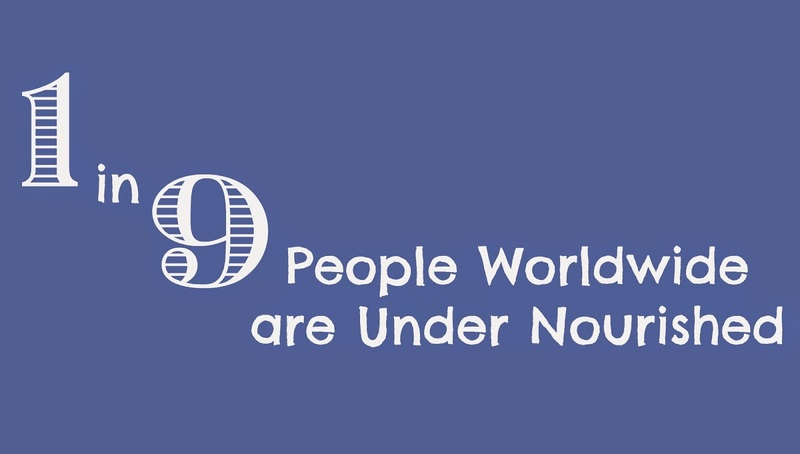 What can I do for the one in nine people worldwide that are under nourished? Sign up to help package meals or make a donation towards a meal packaging initiative, such as Meals from the Heartland. Participate in your local CROP Hunger Walk. Support groups like Self-Help International, which partners with people in Ghana and Nicaragua on training and education for young farmers, micro-credit loans for women and school feeding programs. What are you going to do to celebrate World Food Day? What other ideas do you have? Remember to Comment for a Cause! Can we feed 9 billion people by 2050? That is the question being discussed at this year's World Food Prize, being held in Des Moines, Iowa this week. I want you to think about that today and I'll talk through some ideas hopefully tomorrow, if I ever get my internet fixed! 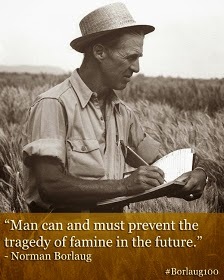 Also, in the meantime, have you ever heard of Norman Borlaug? I'd encourage you to check out a post I did on him earlier this year on his would have been 100th birthday. Food banks across the United States are in need for donations all year long. As my family and I bring in this year's harvest, I can't help but think about the need for healthy, affordable and quality food for the plates of all Americans. 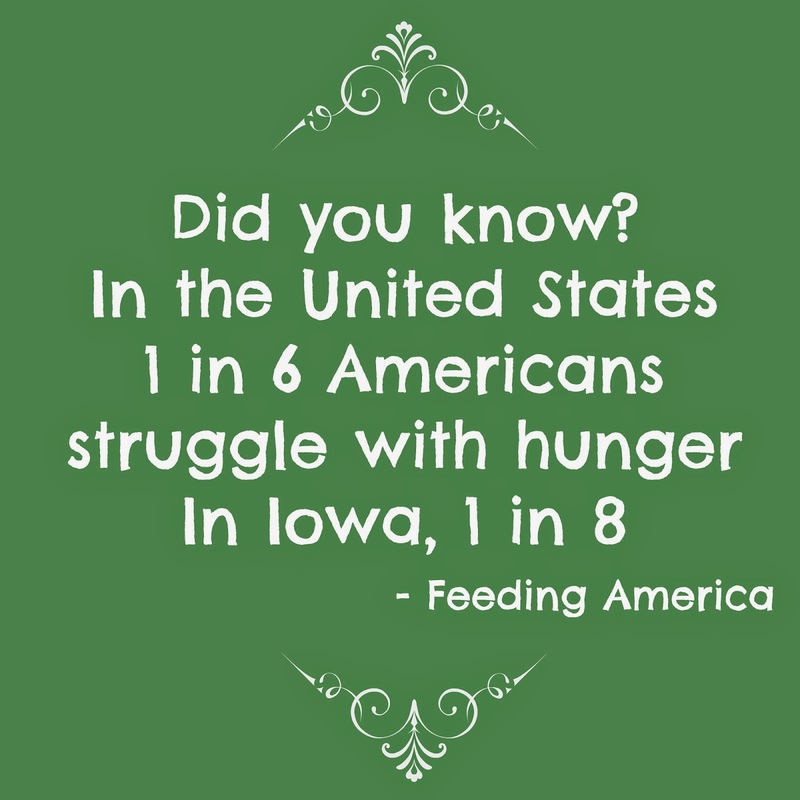 Even though farmers work hard everyday to provide that for Americans, hunger is still an issue. I am fortunate and have not had to struggle with hunger myself. There were times growing up in the 80's during the farm crisis my family had to literally save our pennies to buy a gallon of milk, but we survived. So what can we all do to help our local food banks? The first and obvious choice is to make a monetary donation. I know that our local food bank uses cash donations to buy certificates to the local grocery store to pass out to those that use the food bank, so they can buy perishable items like milk and eggs. They also use these type of donations to help them get whatever they are in need of. The second and also obvious choice is to make a donation of nonperishable food items to your local food bank. Our local food bank suggests items such as canned tuna or chicken, canned fruits and vegetables, peanut butter, juice, rice, soup, crackers, tortillas, spaghetti sauce, and oatmeal. A third idea is to make a "spicy" donation. Think about it, people that rely on the food bank for food staples such as mentioned above also need and want things like spices and chocolate to spruce up those items. And yes, even though we don't need chocolate, don't we all appreciate being able to bake a pan of brownies for time to time. A fourth idea is to make a donation of some non-food items. In fact one of our local churches has a donation center for items such as feminine prouducts, toiletries, baby toiletries and socks. Some of these items food stamps don't cover. Fifth, get out and volunteer. Most food banks are largely volunteer ran and are always looking for help. If you can't commit to a shift at your local food bank, think about starting your own food drive in your local neighborhood, through your church, or through your workplace. Sixth, you can help out local food banks through social media! One of our local food banks, Hawkeye Harvest Food Bank, can be helped by commenting on the blog, It's Just Life, this month. Beth Ann at It's Just Life is actually the one who inspired me to create a Comments for a Cause program on my blog. 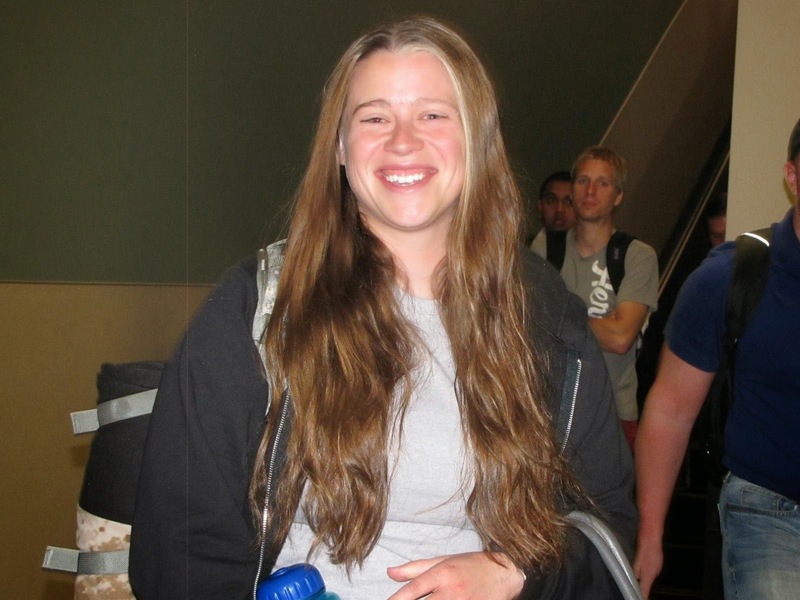 Go check out her blog and support her efforts! Also, Farm Credit Services of America is donating $5 to local food banks when you use the hashtag #SpoonSalute. 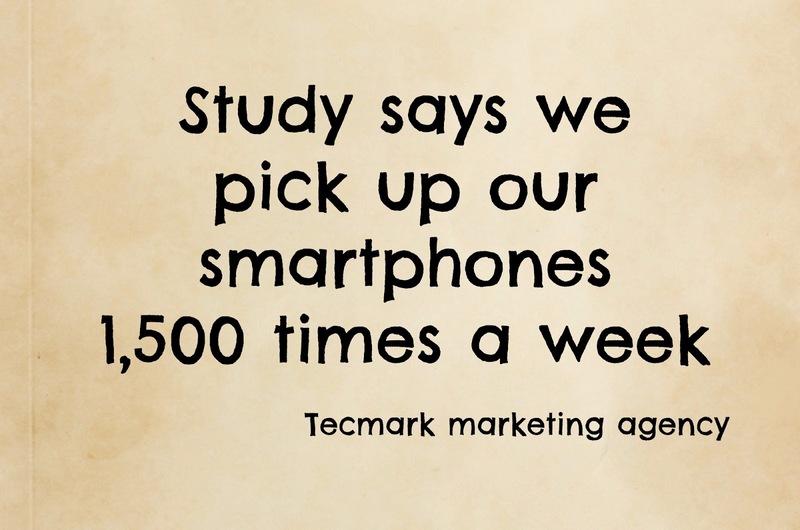 So get to tweeting! So, what are you going to do to support your local food bank this harvest? Or what other ideas do you have to share? Remember to Comment for a Cause!